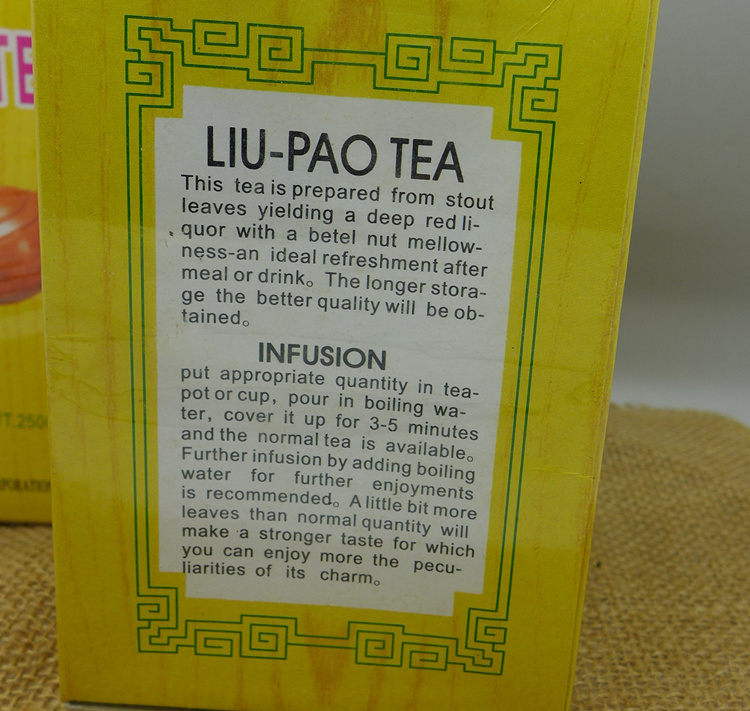 This is one of the classical export grade liubao products made from 1970s. 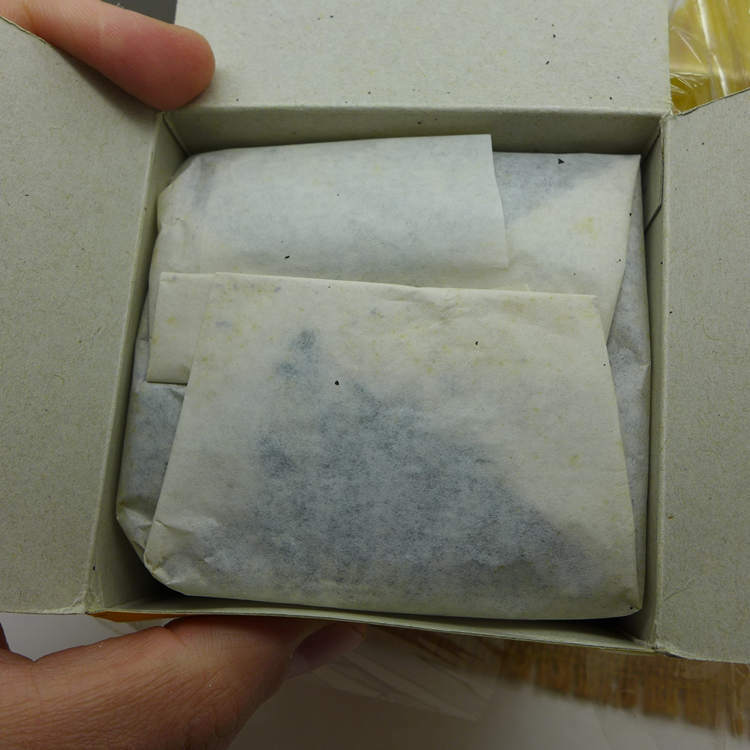 There is many variations of the box and some slightly different detais of the design package sincemost of the production was undated.This tea is made by Duoteli for export and was sold to Malaysia. We purchased some and bring back to Kunming. This tea is for selling abroad and is not possible to get by mainland China dealers. 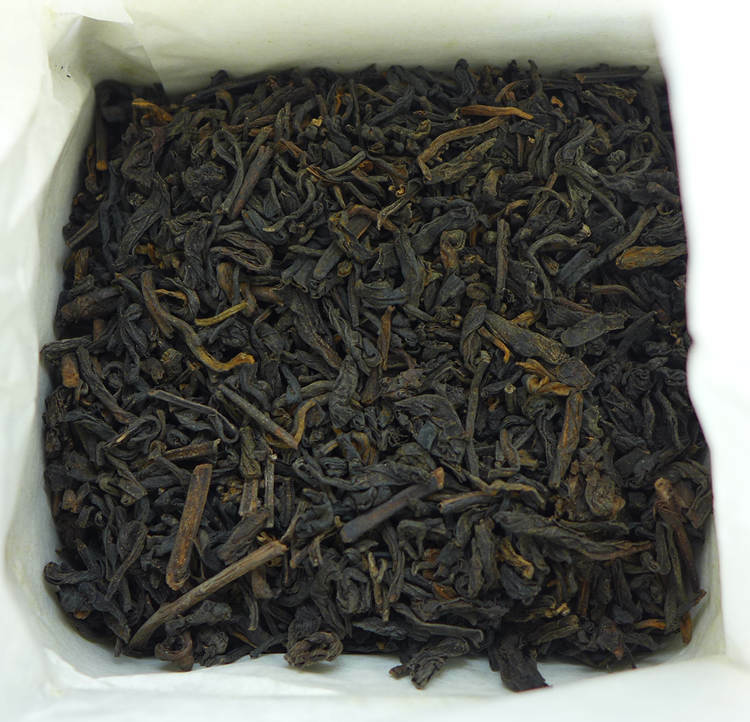 You can compare this tea with a special collector Yellow box we offer too. 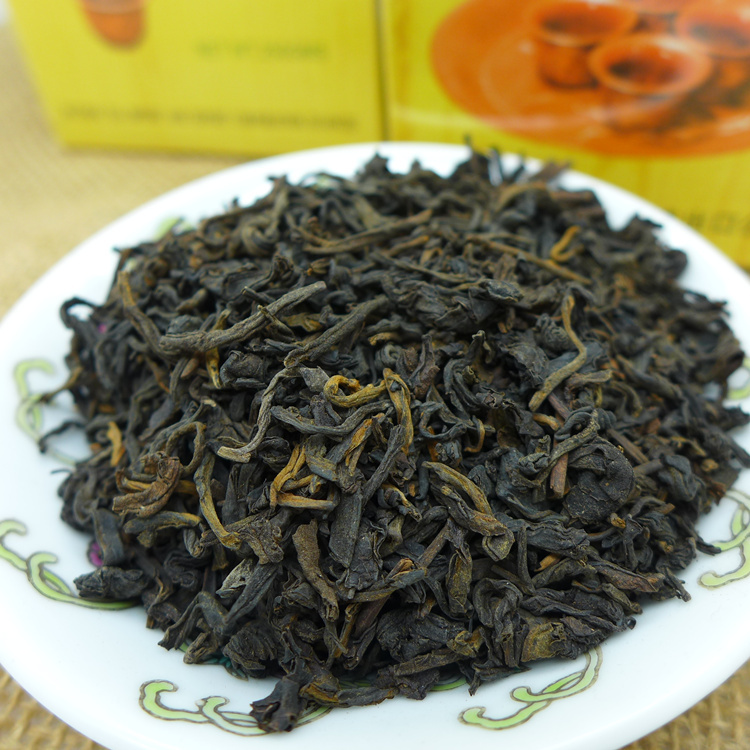 This one is 1 grade leaves, lighter, and usually not only Guangxi area tea used. (Yellow box for Malaysia have some Guizhou prov. tea inside too to keep the price lower as dealers and customers in Malaysia want ). 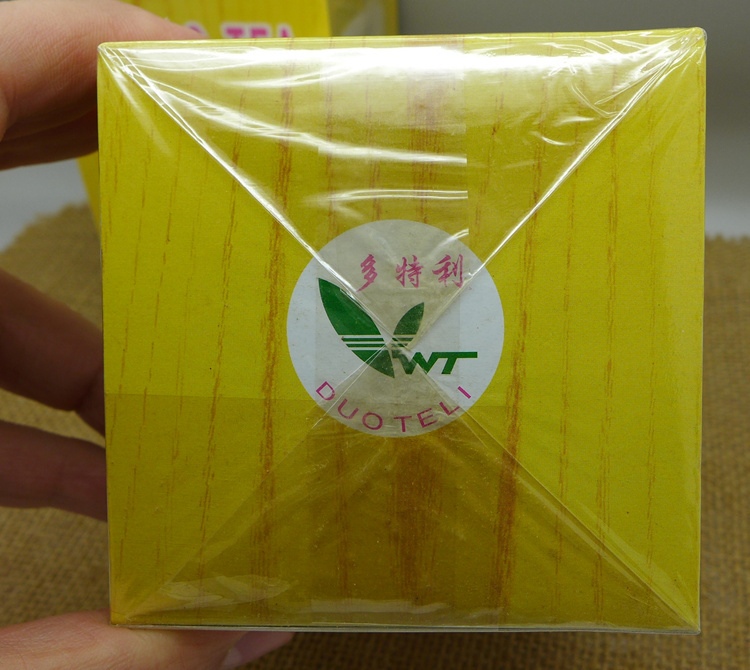 The 2015 special Yellow box is made from Guangxi tea only, compressed to big baskets used high grade tea leaves only. 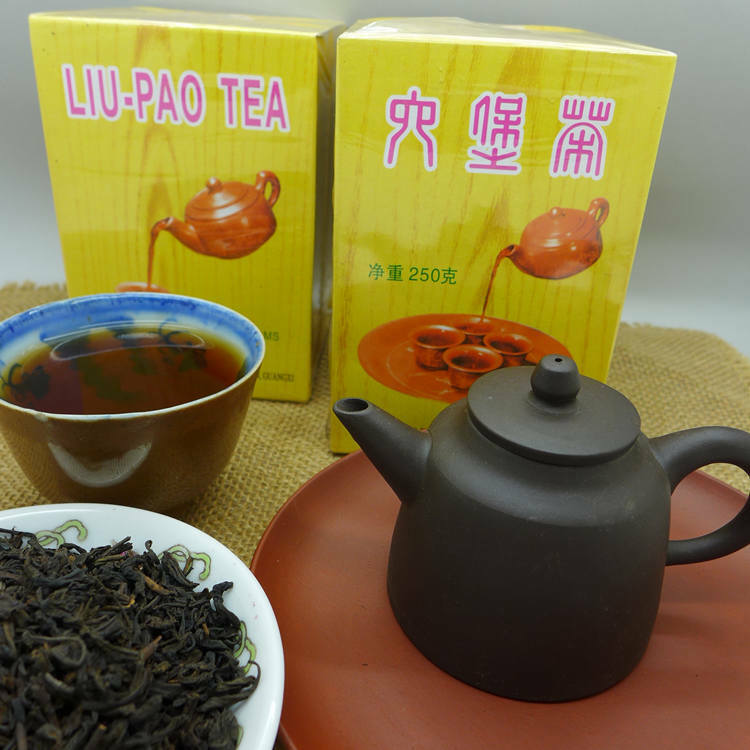 Dark red tea soup, smooth and sweet taste. The longer it has been stored, the better the taste it is.